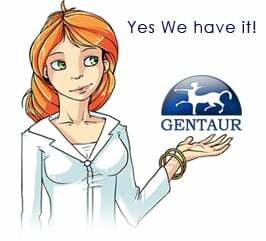 Gentaur antibody-antibodies.com The Marketplace for Antibodies : Modulation of Rab GTPase function by a protein phosphocholine transferase. Modulation of Rab GTPase function by a protein phosphocholine transferase. The intracellular pathogen Legionella pneumophila modulates the activity of host GTPases to direct the transport and assembly of the membrane-bound compartment in which it resides. In vitro studies have indicated that the Legionella protein DrrA post-translationally modifies the GTPase Rab1 by a process called AMPylation. Here we used mass spectrometry to investigate post-translational modifications to Rab1 that occur during infection of host cells by Legionella. Consistent with in vitro studies, DrrA-mediated AMPylation of a conserved tyrosine residue in the switch II region of Rab1 was detected during infection. In addition, a modification to an adjacent serine residue in Rab1 was discovered, which was independent of DrrA. The Legionella effector protein AnkX was required for this modification. Biochemical studies determined that AnkX directly mediates the covalent attachment of a phosphocholine moiety to Rab1. This phosphocholine transferase activity used CDP-choline as a substrate and required a conserved histidine residue located in the FIC domain of the AnkX protein. During infection, AnkX modified both Rab1 and Rab35, which explains how this protein modulates membrane transport through both the endocytic and exocytic pathways of the host cell. Thus, phosphocholination of Rab GTPases represents a mechanism by which bacterial FIC-domain-containing proteins can alter host-cell functions. Unraveling the Phosphocholination Mechanism of the Legionella pneumophila Enzyme AnkX.